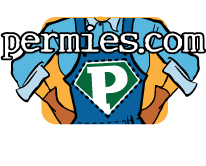 If anyone knows of a permaculture-related forum that has ads for things that are permaculture related, please tell us about it. I would love to "take my business over there." This idea of playing games and "tricking" the big ag companies out of money by clicking on their ads is the kind of horse hockey I have no interest in whatsoever. Does anybody shoot straight anymore? I know I'm not the only one with concerns about all the ads we're seeing on this forum for big ag - a chemical for this, a chemical for that. huh? That's not permaculture. This is a big time disconnect. I've been wondering how this forum, which is fantastic, can exist without the blizzard of advertising you see on every other web site. I'm not against advertising, I realize it pays the bills. But could we not develop an "approved advertiser" list somehow and bring the advertising into alignment with not only the subject matter of this forum but also the needs of the participants? We all may actually buy some stuff if it has at least something to do with permaculture. At the very least, it should not be so much in total opposition to permaculture. The good news is that things look better this year than they have in the past. That's a sure sign that you're doing the right things. Usually what happens is once you start to see improvement, the rate of improvement increases. Next year will be better, and the following year even better. Each plant has its own needs regarding sun, water, soil pH, and soil fertility, and some do better with certain companion plants. Some plants actually prefer infertile soil. It's so much easier now than when I started gardening 40 years ago, because you can find out exactly what any plant needs for free on the internet. Because you have clay not far down, you may need to either build raised beds, hugelkultur beds, double dig, or just be patient and let earthworms work your mulch down into the clay. The problem with shallow clay is it can cause soggy roots, and most plants cannot take soggy roots, aka wet feet. Some plants like wet feet, such as canna lily, for example. One key point in permaculture is to try to grow plants that like the conditions that you happen to have at your location. The more you can do that, the less you have to modify your conditions. We're all guilty of not being patient enough when it comes to gardening. I catch myself doing it all the time. That's one of the things you will learn as you gain more experience. I'm still learning it. Keep up the good work! help lifeless raised bed soil ? I mulch with shredded leaves, grass clippings, coffe grounds, and kitchen scraps. All free. Works great. Home made aerobic compost tea is a super great low cost fertilizer. I'll definitely have to pay it forward. The hydrilla would make a good compost ingredient. If more chemical agriculture were converted to organic ag, there would probably be a big enough market for the stuff to make harvesting it feasible. Hopefully, that day is not too far off. Jim, They are both nice and low which would probably also be the case where we are because our soil is super sandy and infertile. Some day, when the food forest is well established and dropping lots of leaves, it'll be better but that's a ways off. The plan was actually to blitz a large area next spring during the dry season, but I'm thinking maybe it makes more sense to do sections at a time and continue to mow the grass and chop/drop the weeds. I would offer to do a swap, but honestly our garden is only 3 months old and nothing is abundant enough yet to divide. I can offer future cuttings though. 3 inch rhizome layer. uh-oh. Does this sound off? Here's our rationale: We now have bermuda grass, bahia grass, and several other grasses and rhizomatous weeds on one entire side of the food forest, as well as one area inside the food forest. There are also some areas with a lot of annual weeds. The grasses and weeds are providing one valuable service which is erosion control, and they are also adding a bit of biomass which is sorely needed. About half of the 13,000 sqft food forest is on a moderate slope and our soil is super sandy (Florida sand hill). I figure that if we can replace all those grasses and weeds with some perennial N-fixing ground cover that's so thick that it stabilizes the soil and keeps weeds down, that's a big improvement. 3 inches of rhizomes is also a good bit of biomass that we really need in our beach sand. I guess the question is will the nitrogen supply be enough to out-weigh the competitive effect of the ground cover? My thoughts on that are 1) we'll continue to mulch around the other plants for a while longer, so competition shouldn't be too fierce while the plants are getting established, and 2) later there will be enough shade that the sun-loving ground cover will not be that aggresive. Besides, a lot of our trees, shrubs, and mulch plants have deep root systems anyway, by design. Does this address your concern? I'll take any input I can get, as long as it's free. Jim, How tall do those two ground covers get? I'm assuming the mimosa is a N-fixer? I may have asked before, but about where are you located? If I'm ever your way, might want to see what they look like. It turns out buffalo clover is an annual, not readily available in bulk, takes 2-3 years to get established, should be planted in the fall rather than the spring when we'll be ready to plant, and the seeds have to be scarified. Perennial peanut actually looks ideal for our location. I'm not sure how tall it gets, but it makes a 3 inch thick rhizome layer for soil stabilization and thrives in our poor sandy soil and heat. Good drought tolerance too and it is truly perennial with a 20 year old field somewhere in Florida. Once established, it looks like it is very good at preventing weed invasion. Thanks Ben.